We first had Chris on the podcast in February of this year as a lead-up to the launch of our NZ tips service. Thankfully Chris’ incredible private success has transferred to the public domain and members have enjoyed very consistent profits. But as a relatively new professional punter, what has he learned this year that he will apply to his betting next year? David Duffield: It’s been a pretty successful year so far, it’s probably a little bit early to review the year overall, but how do you think it’s been going? Kiwi Chris: I’m relatively happy, I’ve been on quite a steady upward curve, I guess, profit-wise. I’m quite content. David Duffield: What about the mid-winter blues? You tend to be fairly disciplined when it’s really wet tracks, or at the very least, like to watch a race or two before getting involved. Kiwi Chris: Yeah, that’s right. I mean, there’s probably more opportunities, I think that’s what it is, in sort of spring summer. There’ll still be a few in that winter time but I guess they’re a little bit more sparse. David Duffield: Early in the year, you had mentioned that you’d learned a bit from various people including someone like Dean in terms of the trials and I think that things have evolved since then and I know that you’ve taken on doing some of your own timing and that’s quite a pretty integral part in the way you do things now. Kiwi Chris: Yeah that’s probably the main factor when I’m looking at horses, you know, their ability to run a certain time, relative to other horses on the same day so you can get a really good guide as to the untried horses, their potential ability. David Duffield: And so you mentioned on the same day, the way Vince does it, he has to suffer through a number of variables in terms of the rail, not the rail position but just the rail markings can be off, different camera angles and the like, so you simplify things and you only really look intra-day, you only compare horses on the same day rather than having a multi-year benchmark figure. Kiwi Chris: That’s right, I think there’s so many different variables from day to day, obviously from track to track, but even on the same track on a different day you can get so many different variables, from weather, to rail out, to track conditions, all sorts of things. So I only compare performances from that same day. David Duffield: What are you looking for in doing the timing yourself? Are you looking for closing sectionals, or horses that were really sent out a good clip and had a reason for tiring late, given the overall times? What are you focusing on? Kiwi Chris: A bit of everything really. I mean, the closing sectionals are only good if they’re running decent time at the start. Because you know, if they’re jogging to start with, and then sprinting late very often the format of that can be a little bit false, so that’s a sort of combination of all those things that you mentioned. David Duffield: You’re doing your own timing and what else has changed, or evolved since you started the year, if you can cast your mind back to then? Kiwi Chris: I guess at the start I was primarily focused on trials and then I was mainly betting into maiden races. Maybe early two year-old, three year-old racers. Whereas now I’m sort of covering all class of races, still mainly on the North Island, a little bit in the South. I’m broadening the sort of base of races that I’m looking into. David Duffield: What’s prompted that change, the broadening of the races that you cover? 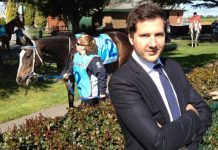 Kiwi Chris: Just getting a little bit more data on every horse and the early trials that I watched, say this time last year, they’re sort of running in high grade races this year. I guess it’s just a steady evolution of getting the data together. David Duffield: So there’s still value in the trials, it’s more so that you’ve expanded the races that you look at? Kiwi Chris: Yeah, it’s probably more work, which is one unfortunate aspect, but I think there’s also more opportunities. David Duffield: You mentioned the workload. What kind of hours do you keep in a normal week? Kiwi Chris: I’m probably around sort of 50 hours, 60 hours. Yeah, maybe five to six days a week, five and a half days a week. David Duffield: Okay, so a good solid effort there. What is the composition of that time, so how much of your time are you reviewing races vs previewing? Kiwi Chris: I’d say probably around 60/40, so 60% reviewing. I spend a lot of time on that and then once I’ve got all the information, the previewing becomes quite straight forward I suppose. David Duffield: What races or horses do you get involved with, because you’re not the IT or data guy by training, but obviously there’s a lot of information to go through, so what’s the process in choosing to get involved in a race? 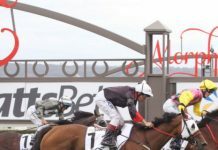 Kiwi Chris: Different approaches I use, some are just, I’m looking for just a high quality horse, so they may be some of the top 10 or 20 horses in the country and they’re taking on inferior opposition. So we’re just looking for the right price there. Other times I’ll just be looking for weak fields. Fields where we can sort of cross out 60, 70 percent of the field and betting into those ones. Then just straight out excellent trial performers as well. They often seem to profitable. I find three year old races, there can be some decent value in those with the horses coming out of maidens, being maybe a little bit underrated compared to horses in higher grade. David Duffield: Is there a bit of a bias against maiden runners not being able to take that next step? 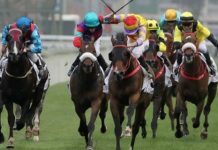 Kiwi Chris: I think the bookies just place a little bit too much value on the quality of race which a horse is running, rather than the actual performance in that race. David Duffield: We take a similar approach in that a lot of the analysis we do, the race name is not even important, so we just put all the horses in the pot and then compare that broader range rather than just saying, okay that was a maiden or a benchmark 64 or whatever. Kiwi Chris: Yeah, that’s right. Just look at the performance on its own rather than as you say, the grade of the race it’s in. David Duffield: You talked about excluding three quarters of the runners, what process would you go through to do that? Kiwi Chris: I guess, I look at each horse individually to see what sort of performance it put in, have a look at their trainer, the jockey, the look of their breeding and often you can pretty safely just put a line through quite a few horses in some of the lower grade, sort of maiden races mid-week stuff. 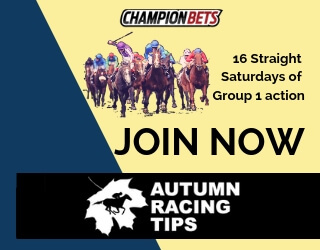 David Duffield: What stage do you look at the market, so you’re doing the form, and in quite a bit of depth, when you’re then making the next decision which is do I want to outlay any money on this race? When do you look at a market and then what factor does that play in the whole decision making? Kiwi Chris: That’s right at the end, so I’ve already sort of had a look at the race and got an idea of where I think I should be playing and at what price. That will be done the night before, or maybe the two nights before, then I’ll just get up in the morning, see who’s been the non-runners and then I’ll just look at the market and see how it compares to what I’ve got down and then go from there. David Duffield: So things have evolved throughout the course of the year. Do you think over the course of 2015 you’ll be doing it much differently to how you do it now? Kiwi Chris: There might be a bit of tinkering, but it seems to be going quite successfully, so I’m not going to make any sort of drastic changes. Obviously, you can’t just stay static with what you do, so there might be a few minor things here and there. David Duffield: What about getting a bet on? It can be an issue. Finding the winners for a lot of guys like yourself is the easier part, but getting a decent bet on is a struggle. 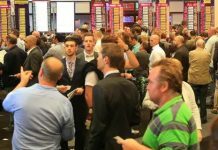 There’s been a few changes in the corporate bookmaking world over the course of the year. 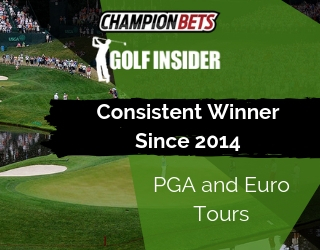 Do you still take a long term approach, where you’re not looking to annihilate a bookie on any given day, instead you want to spread your bets? Kiwi Chris: Yeah that is an issue, obviously. I think anyone who bets and who is successful knows that, so it’s a matter of spreading it around, trying to stay under the radar as much as possible and trying to manage your accounts by maybe betting into all sorts of different sports and things, and yeah, it is tricky. Spreading yourself around and trying to sort of lay low, I suppose. 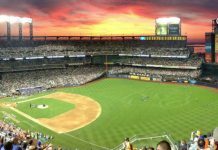 David Duffield: So you are, I don’t want to say comfortable as that’s probably not the right word, but you’re content to take a slightly lower price at another bookmaker, just to keep your accounts active across the board? Kiwi Chris: If I have to yeah. I mean, if you keep taking your best price at the same bookie then you won’t last long with them. David Duffield: What about a horse to follow then, I know you keep a close eye on them when they come across our way, is there one in particular that you’re looking to keep an eye on over the next few months or at least in 2015? Kiwi Chris: There’s one that ran, it was on Melbourne Cup Day actually, it’s really turned the corner I think this prep that was Atacama who really ran well here before heading over and then got a nice ride there from McDonald I think it was the last race after the Melbourne Cup. I think it’s going to be targeted at some races here then I wouldn’t be surprised if you’ll maybe see it in Australia again. David Duffield: That’s a horse for us to follow. Is there a trainer or a jockey at the moment that you rate really highly at the moment that you think would no problems being competitive if they were to come to Sydney or Melbourne? Kiwi Chris: I think you got to have this one, or probably best two with McDonald and Collet Young ones coming through? I mean, I think they’re a relatively even bunch in New Zealand. I don’t think there’s any sort of youngsters that are really, really shining. I think McDonald’s coming back at Christmas time, hopefully, so whatever he’s riding back in New Zealand will be worth having a look at. David Duffield: What about in the training ranks? It’s less common for them to shift stables and come across? Is there one you think that would no doubt hold their own here? Kiwi Chris: I mean, you’ve got the likes of Roger James and Murray Baker, obviously have proven success over here and even the old boy Rogerson, you know if he brings something over, he talks them up a bit but he can produce a decent horse. Kiwi Chris: You got Tony Pike, he seems to be on the way up. He gets a lot of good horses and he could be one to keep an eye out for. David Duffield: Sounds good. All right, Chris, I appreciate your time today. Congratulations on the year so far and all the best for a big finish for 2014, and an even bigger 2015. Kiwi Chris: Thank you Dave. We’ll aim for that.